This was absolutely delicious. I will make this again. I made these as patties, rather than poppers. I don't know if it was the increased size or my oil not being quite hot enough, but I did have some of them fall apart a little bit. I'd consider baking them next time. I doubled the recipe, thinking an appetizer recipe wouldn't be enough for a family of 4. A single recipe would have been enough. For the schug, I edited a bit because my kids hate spicy stuff. I used 1 red pepper instead of 1/2 bell and the jalapenos. I added a bit of smoked paprika for some interest. Still a nice sauce. Made way more than necessary to eat with the falafel. Basically just baked seasoned wings. Real easy, as I was able to make this even when I was down with a nasty virus. Make sure you blot the oil off the wings once baked, otherwise, they'll be too greasy. I made quite a few changes: I like my slaw creamy and I don't like my avocado in liquid form, so I did not puree the avocado into the sauce and I used the sauce as a dressing for the slaw and served the avocado as a topping for the taco. I made a whole recipe for the slaw, but only 1/2 recipe for the sauce. I only used a quarter of the cayenne called for in the rub for the fish and it was spicy enough. Very easy and very good. Next time I'll get the ravioli out of the pasta water and into the brown butter one at a time instead of en-masse to ensure that they don't stick together. They did not break, but it did take some time to untangle them gently and make the presentation better. This is the dressed down version of the pumpkin spiced ravioli with brown butter. It is okay, not as good as the ravioli, but a lot simpler to make. I made pumpkin mac 'n' cheese and it was good. I subbed 2/3 of the cheddar with a mix of cheddar and monterey jack, used comte instead of gruyere and doubled the amount of hot sauce. 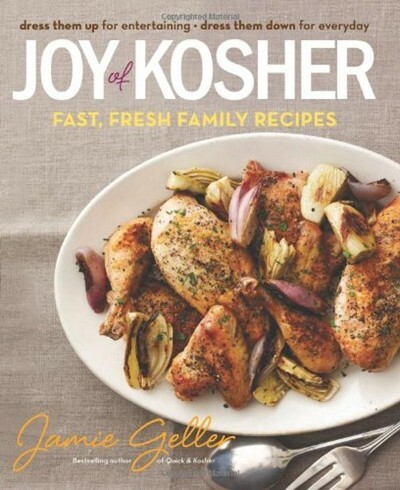 Jamie Geller, “The Jewish Rachael Ray” (New York Times) and founder of the Kosher Media Network, including Joy of Kosher with Jamie Geller magazine and JoyofKosher.com, shares more than 200 ideas for fast, fresh family-friendly recipes, each with tips on how to dress them up for entertaining or dress them down for everyday meals. 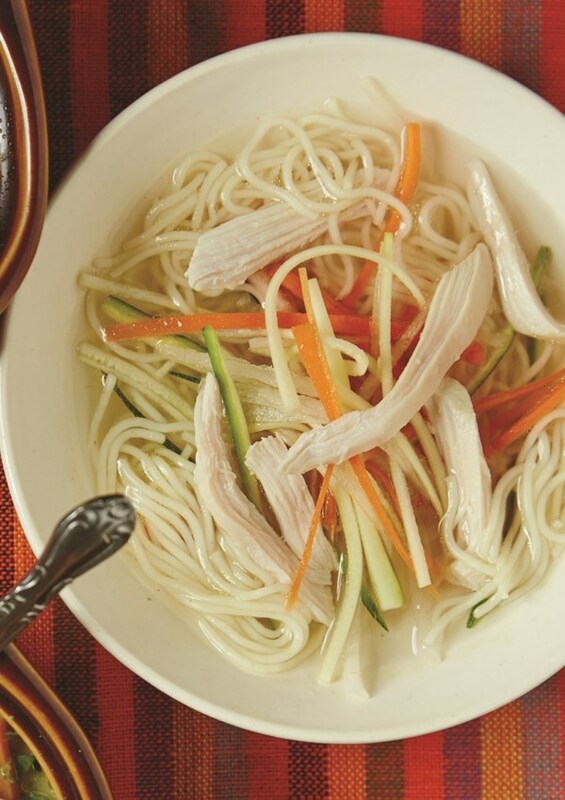 Accompanied by gorgeous full-color photos, Joy of Kosher includes original ideas for authentically kosher, foolproof, flexible recipes for scrumptious, nutritious, and easy dishes—all with no slaving over a hot stove or rabbi required. Enjoy such delectable dishes as Crystal Clear Chicken Soup with Julienned Vegetables and Angel Hair (Dress It Down: Chicken Noodle Alphabet Soup), Garlic Honey Brisket (Dress It Down: Honey Brisket Pita Pockets), Butternut Squash Mac and Cheese (Dress It Down: Mac and Cheese Muffin Cups), and Gooey Chocolate Cherry Cake (Dress It Up: Red Wine Chocolate Cherry Heart Cake). Plus, Jamie offers a whole chapter on the art of making challah, 10 sweet and savory recipes, holiday menus, a special Passover section.